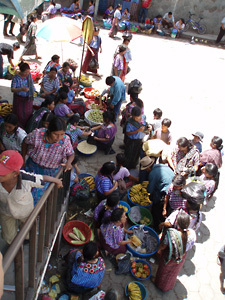 The mission of Guatemala Health Initiative is to strengthen clinical services and community health promotion in resource-poor communities in Guatemala. GHI was founded by students in the School of Medicine and the School of Nursing at the University of Pennsylvania. The Tz’utujil Maya town of Santiago Atitlán (Tz’kin Jay, or “house of birds” in Tz’utujil) is located on the southwestern shore of Lake Atitlán, and is surrounded by three volcanoes (Volcán San Pedro, Volcán Atitlán, and Volcán Tolimán). This and other indigenous communities in the Guatemala highlands suffer extremely high rates of maternal and infant mortality. Clínica Santiaguito, the predecessor to Hospitalito Atitlán, opened in the 1960s to provide healthcare to the people of Santiago Atitlán. However, after the massacre of 13 Atitecos by the Guatemalan Army in 1990, the Clínica was abandoned, leaving the town without access to essential medical services in the midst of the political violence and economic dislocation of Guatemala’s civil war. In 2002, six years after the signing of the Peace Accords that brought an end to the war, community leaders in Santiago Atitlán established K’aslimaal (“life” in Tz’utujil), a grassroots organization dedicated to the reconstruction of the hospital. 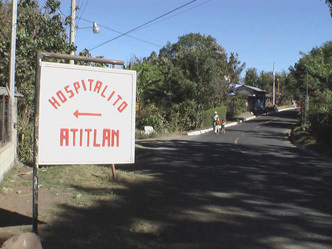 Through their efforts, Hospitalito Atitlán re-opened on April 1, 2005, and dedicated itself to lowering neonatal and maternal mortality rates and providing in-patient, surgical, and 24-hour emergency care to the people of Santiago Atitlán. In summer 2005, a team of University of Pennsylvania medical and nursing student volunteers completed a community health assessment of Santiago Atitlán [pdf]. 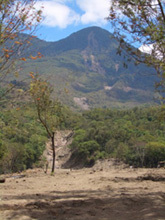 On October 5, 2005, mudslides triggered by Hurricane Stan destroyed the neighborhood of Panabaj in Santiago Atitlan, killing hundreds of Atitecos. 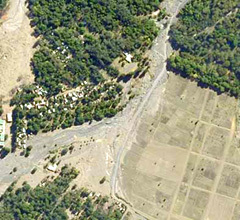 Hospitalito Atitlán was buried in eight feet of mud and the area was declared a mass grave. Through the heroism of Hospitalito staff and volunteers, and the generosity of donors, Hospitalito Atitlán re-opened just two weeks later in a temporary location. Two Penn medical students were present during the disaster and participated in the relief efforts. The temporary Hospitalito Atitlán features 3 outpatient examination rooms, 4 inpatient beds, 2 labor and delivery beds, an operating room, a laboratory, and a pharmacy. 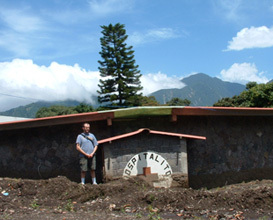 Groundbreaking for a new permanent building for Hospitalito Atitlán began on September 30, 2006. Click here for the latest news from Hospitalito Atitlán. Click here for a more detailed history of Hospitalito Atitlán.